For most of us, the holidays are filled with all kinds of treats and meals that make this time of year extra special….and extra fattening. During all of the celebration and feasting, it’s natural to want to include your beloved pet. But keep in mind that treating your furry pal to the same rich foods can sometimes result in a trip to the emergency clinic. Gastroenteritis, pancreatitis and intestinal obstruction can be the result of too many holiday spoils. Foods which are high in butter and other fats taste really good to both people and their pets. But when dogs that are treated with buttery mashed potatoes, gravy, turkey skin and drippings, it can cause havoc with their intestinal tracts. Gastroenteritis is inflammation of the stomach and intestines which can be caused by the introduction of new and rich foods. Pancreatitis is inflammation of the pancreas often resulting from the consumption of a too fatty meal. Severe pancreatitis is often life-threatening. But a hospital stay may be warranted with either diagnosis…and none of us need unplanned medical expenses during the holidays! Signs of trouble include vomiting, diarrhea, loss of appetite, lethargy, fever, and a painful abdomen. Turkey bones are an additional danger to dogs during the holidays. Some garbage diving pups just can’t resist the temptation of a turkey carcass during post-meal cleanup and will go to great lengths to steal the bird. Cooked turkey bones are very brittle and splinter easily, which can result in punctures to your pet’s digestive tract. Do your dog a favor and don’t give turkey bones as a treat. Securely dispose of your turkey carcass. And while we’re talking trash – keep in mind that the aluminum foil, plastic wrap, and twine that were used to wrap your bird can be an irresistible temptation to your pets as well. These also may end up in their digestive tract where they can cause intestinal obstruction. Partial obstructions usually cause intermittent vomiting and diarrhea, complete obstruction causes severe abdominal pain and vomiting. The pet’s condition may degrade rapidly and emergency intervention is critical. On the topic of obstruction….a word about cats. Keep in mind that all of the trimming, ribbons, and tinsel that make up our holiday decorations and wrappings are often irresistible to cats. These long, strand-like trimmings become “linear foreign bodies” once they are ingested and cause a particular and often fatal type of intestinal obstruction. Treatment for linear foreign body obstruction should always involve surgery. Cats are curious, decorate accordingly! Safe holiday treats for your pet are out there! Plain foods are the best, including carrots, green beans, apple slices, frozen blueberries, and even plain turkey in small quantities. Many pets also love plain pumpkin puree (but not pumpkin pie filling!) Or instead of food, consider an extra walk, a new toy, a new kitty bed or scratch pad….or simply your attention. 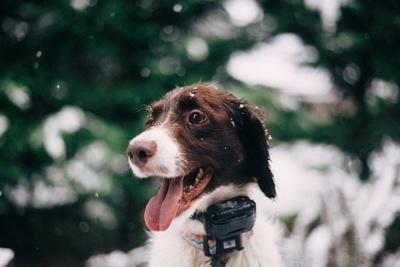 If you asked your dog what it would prefer more, an extra long walk with you or a couple bites of turkey – you’d be getting out your leash in no time.